The Most Miserable Day of the Year. 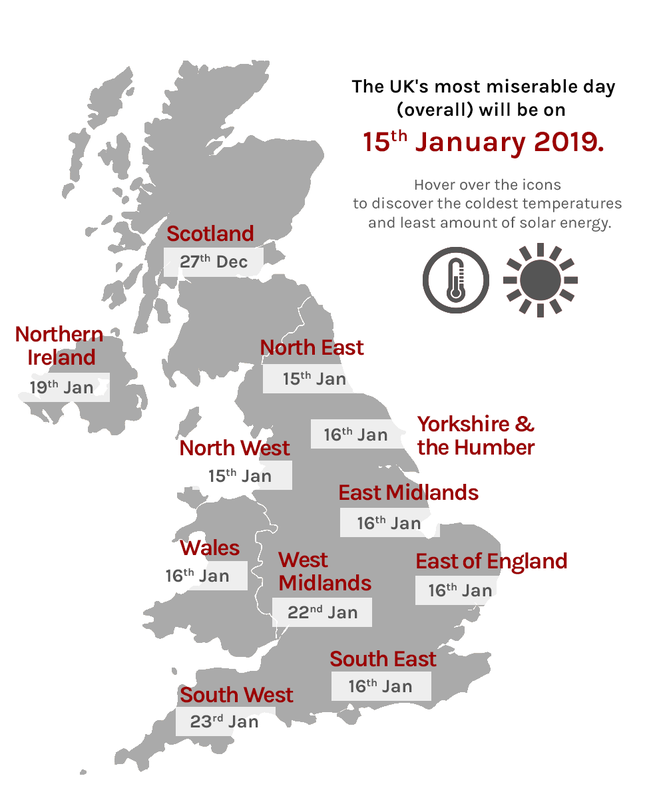 Use the map below to discover when each part of the UK can expect their most miserable day of 2019, based on the coldest and darkest day of the new year. Based on 30 years worth of weather data.